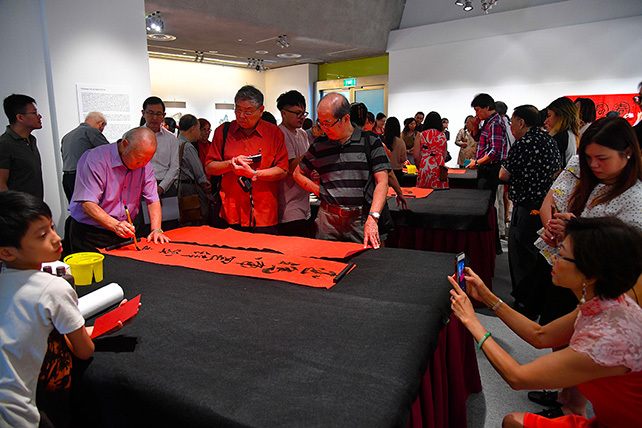 Distinguished calligraphers and painters come together during the Lunar New Year to write and paint New Year wishes marked with good fortune and happiness. NAFA’s annual tradition of inviting calligraphers to write Spring couplets, or chunlian 春联 will take place on Saturday 9 February. Members of the public can witness live demonstrations by distinguished calligraphers in action, and purchase the works to adorn their homes. The works on exhibition and from the demonstration will be available for sale with proceeds going towards the NAFA Development Fund.